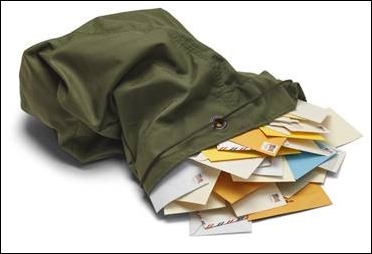 I’ve received quite a bit of correspondence lately, so it’s time to open the reader mailbag. From Coastal but not Coasting: “Re: great article. It came at the perfect time for my practice. We just received PCMH recognition, level 3, so we are currently beaming! But it has not been easy. There have been many challenges, including staff burn-out and frustration over all of the change. We had to get them to buy in to it without always knowing WHY the change needed to occur. Sometimes the WHY is very involved and time-consuming and we were trying to fast track recognition.” I agree that sometimes sorting out the “why” and the “what’s in it for me” can be challenging, especially when trying to work through things quickly or when trying to meet specific regulations that don’t always mesh 100 percent with how the organization has been running. There are times when I’m working with clients where I just want to say, “Because I said so, and your boss is paying lots of money for my expertise,” but that would rarely go well. There’s an art to balancing buy-in vs. top-down rulemaking and I applaud organizations that have figured out how to do it well. From Back to School: “Re: huddles. Have you ever met anyone that runs a family huddle? Thinking about my family and children and the chaos of school around the corner made me pause to consider if we might benefit from a more set time / agenda to nail down logistics. We communicate well, but sometimes it’s frequent and distracting with our own work days.” Why yes, I do! One of my good friends from Big Health System takes her process improvement work home with her. They have a family huddle during dinner where they run through the activities for the next day and outline what equipment, supplies, and transportation are needed. Thinking back to the one I witnessed, it’s a lot like a practice huddle. They also maintain a family Google calendar so everyone can see it from their phones. Time management is an important skill that many of the client employees I work with struggle to master. Developing those skills during the adolescent and young adult years would definitely serve one well in the working world. From John Showalter: “Re: staying sane. I thought you might be interested in learning more about a book I helped write. I think focusing on shared outcomes helps keep everyone sane. I totally agree with you about the meeting skills.” Several of the topics covered in the book caught my interest. What motivates physicians, why a lack of education about revenue cycle and population health impedes their ability to see how improving administrative processes positively impacts the patient, and approaches to creating actionable knowledge that will enable increased collaboration. I struggle regularly with providers that aren’t in tune with the business side of healthcare and don’t fully understand how their world will be impacted by big data. May be a good read for my next book club. From Cowtown: “Re: private equity in physician practices. Interesting that you notice this pattern. I have had in mind that health systems buying up doctors seemed to be getting fairly smug fairly quickly. It kind of feels like the hospital leadership thinks, we’ve got 300 head of PCP out grazing in the North Region. This attitude belies the fact that doctors (non-competes notwithstanding) hold their own licenses and can take their acts elsewhere. Perhaps there seems to be little will to break away amongst the traumatized mid-career types and the debt-ridden youngsters. Nonetheless, the ongoing evolution of IT, along with the availability of capital as you note, make it entirely comprehensible. Building physician culture, with an eye towards work-life balance. Operational excellence, with an emphasis on IT and measurement through data. Patient satisfaction, leading toward the basics of customer experience – business hours, asynchronous communication, basic physical plant and services. Oh, and did I mention, I think these should be primary-care only entities? The specialists can build out their own models, with operational excellence centered on procedures with bundled payments – it’s a different business. PE is the flavor of the day because of the tax advantages for the fund partners. It is usually looking for an exit, which if it is selling out to the hospital, likely becomes a destruction of value event. I hope that capital remains available to physicians, especially PCPs who want to do this the right way.” In many markets, physicians at all levels feel trapped, not just those with debt or feel beaten down. Although they can theoretically take their panels and licenses and go elsewhere, sometimes the choice is between bad and worse. My region has several major health systems; although some used to have distinguishing features (such as the willingness to enter into joint ventures with physician groups for surgery centers or diagnostic imaging) they’ve become fairly homogenized with their relative unwillingness to negotiate with physicians. Narrow networks are making physicians nervous about losing market share, so I see them staying in situations they wouldn’t have tolerated several years ago. The hospital-owned medical groups definitely don’t seem interested in building physician culture or work-life balance although they are trumpeting “operational excellence” through statistics pulled from their EHRs. They’re also treating subspecialists the same as primary care physicians (albeit with larger paychecks) which is adding to the negativity as the procedural subspecialists get a taste of what the rest of the physician base has been experiencing all along. As a result, we’re starting to see increasing numbers of physicians headed to the direct primary care model. Those who are remaining in traditional physician groups are starting to opt out of Medicare in an attempt to regain autonomy. I’ve heard people talk about it for years but it seems to be actually happening, which will be interesting with the aging patient base in our community. I don’t make it to the hospital physician lounge very often but when I do, the conversations are always lively. Has private equity shown interest in your practice? Email me.